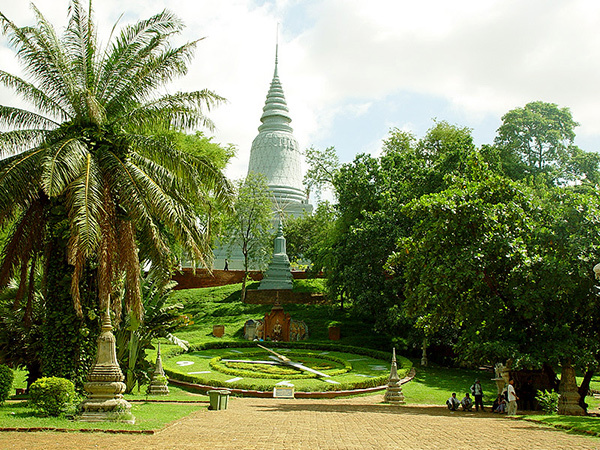 Cambodia highlights brings to you the most wonderful trip in your vacation. You will discover the best places in Phnom Penh, Siem Reap and relax on Sihanoukville beach or the beautiful Song Saa Private Islands. During 12 days package holidays to Cambodia,you will visit the tour in Phnom Penh, and then come to the greatsites of the capital city, including Wat Phnom,the Silver Pagoda (in the Royal Palace complex) and the National Museum. Not only that, sinceyour tour is totally private, you may choose to go off the beaten pathand explore anything that strikes your fancy, with the expert help ofyour local guide. 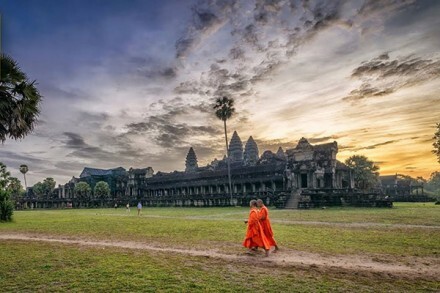 You will leave for Siem Reap, where the Angkor Complex (the world’s largest religious building) is everyone’s favorite destination in the kingdom of Cambodia.This special itinerary has a visitation plan which has been carefully structured so that you can visit many of the famous Angkor sites in thehistoric order in which they were built during the Golden Age of Angkorfrom 800AD to 1250AD. You then fly from Siem Reap to the southernbeaches where you will have 3 nights of relaxing in Sihanoukville. Youcan enjoy swimming, snorkeling, diving or doing absolutely nothing andlaying about! Hence, this Cambodia highlights tour will make you feel great when discovery Kingdom of Cambodia package Tour. 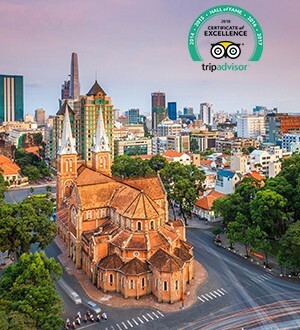 Upon arrival in Phnom Penh, you will be welcomed at the airport by Travel Sense Asia’s guide with your name on pick-up signboard and accompanied to your hotel. With time permitting, there will be a tour of the city which will include the Royal Palace, the Silver Pagoda, the National Museum and Wat Phnom Pagoda. The Silver Pagoda (also known as the Pagoda of the Emerald Buddha) is named after the statue housed therein and which was created by King Norodom in 1892. The floor is comprised of more than 5,000 silver blocks, weighing a total of 6 tons. The National Museum was built in the Khmer style in the 1920’s and has an extensive collection of Khmer art. The highlight of the exhibit is a 6th Century bronze figure of the Hindu god Vishnu. 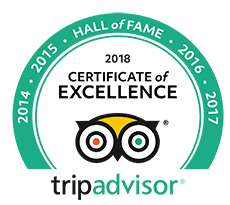 This evening your guide will take you to dine at one of the city’s fine restaurants. Overnight in Phnom Penh. Following breakfast, you will depart for Tonle Bati and visit the Ta Prhom and Yeay Peau temples. From here you will proceed to Ta Keo, where you will board our boat and head to Phnom Da, stopping along the way to explore caves with shrines carved into the walls. 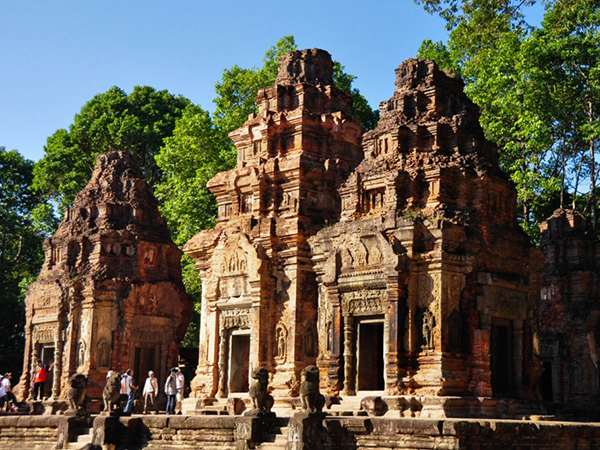 Other places of interest will include the pre-Angkorian Phnom Da temple, the ancient capital of Angkor Borei and Phnom Chisor Mountain, which offers a spectacular view over the surrounding plains. You will return to Phnom Penh by late afternoon/early evening. Overnight in Phnom Penh. 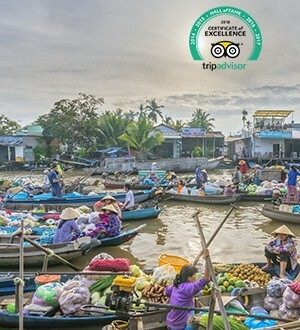 Your morning tour will include visits to the “Killing Fields”, Toul Sleng and the Russian Market, all of which will provide you with a deeper understanding of Cambodia’s past and present. The Tuol Sleng Museum (or Museum of Genocide) is a testament to the country’s bloody past. Until 1975 this building was a high school, but then it became the Khmer Rouge’s main torture and interrogation centre, gaining the moniker “S-21”. 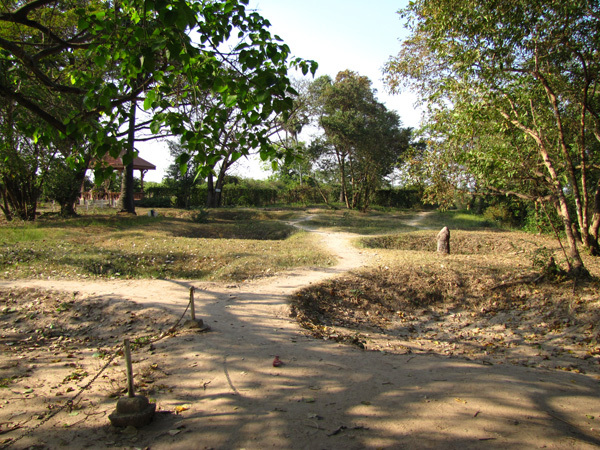 It was from here that victims were chosen to be taken and executed in what is now known as the Killing Fields. You will then take a trip to Kompong Cham by private van. Kompong Cham has plenty of interesting sights, some of which are old colonial buildings, as well as sites such as Nokor Bachey. Nokor Bachey Temple was built in the middle of the 11th Century, during the reign of Suryayarman II and King Ouphey. This old colonial town is rich with agricultural products like rubber trees, cashews, maize, beans and more. You will spend the night in Kompong Cham. Today you will explore Kompong Cham City, including its colonial buildings, ancient temples, rubber plantations and more. 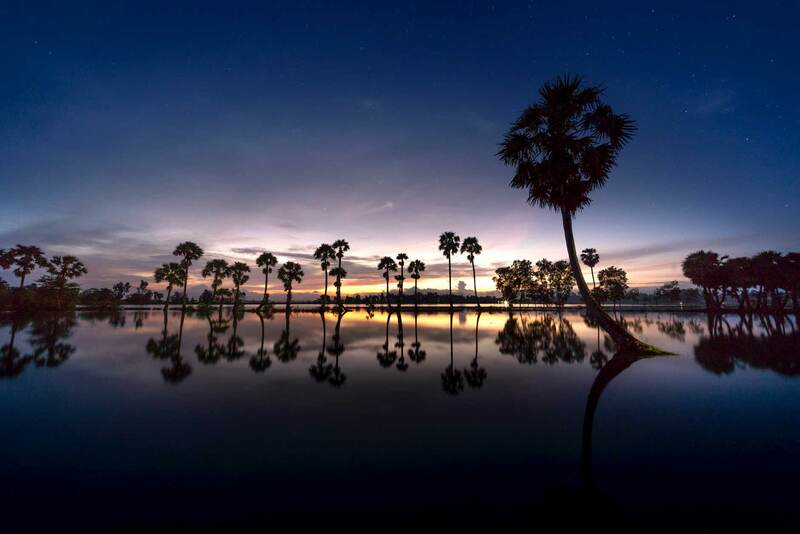 In the late afternoon, you will depart to Kompong Thom where you will be free to relax at your hotel, before exploring Stoeng Sen. With its wide array of fascinating cultural sights and attractions, Stoeng Sen will not cease to amaze you. You will have a great time, as Kompong Thom is blessed with lively restaurants, interesting shopping areas and stunning attractions. You will stay overnight at Sambo Village in Kampong Thom www.sambovillage.com. (Breakfast, Lunch and Dinner included). You will have an early morning start as you drive to the archeological site of Sambor Prei Kuk, which is dotted with hundreds of pre-angkor style temples. The road conditions can be difficult, but the spectacular scenery of this ancient ruin (with a mixture of temples and forest) makes the trip worthwhile. You will travel by road to Siem Reap and the ancient city Angkor, which was the capital of the powerful Khmer Empire from 802 AD to 1250 AD. This stunning and extensive site sprawls through the dense jungle, encompassing an area of over 60 square miles. You will stay overnight in Siem Reap. Note: This itinerary has a visitation plan which has been carefully structured so that (with a few exceptions) you can visit many of the famous Angkor sites in the historic order in which they were built during the Golden Age of Angkor – from 800AD to 1250AD. 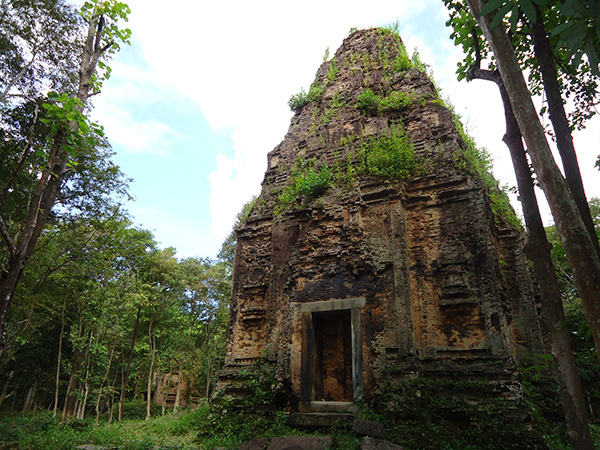 The Golden Age tour will start with a visit east of Siem Reap, to the site of the ancient capital of Rolous. You will visit Preah Ko, Bakong and Lolei, where you will learn about Angkor history from 800AD to 900AD. You will then visit Phnom Bakheng to enjoy the sunset at this amazing hilltop temple, the first major temple of its kind to be constructed in this area (893 AD). You will then return to the hotel to freshen up before heading out to enjoy a welcome dinner at one of Siem Reap’s restaurants later in the evening. After an early breakfast, you will meet your guide to drive out through the countryside to visit Preah Rup and East Mebon, en route to the stunningly exquisite Banteay Srey, all of which were constructed between 950 and 1000 AD. 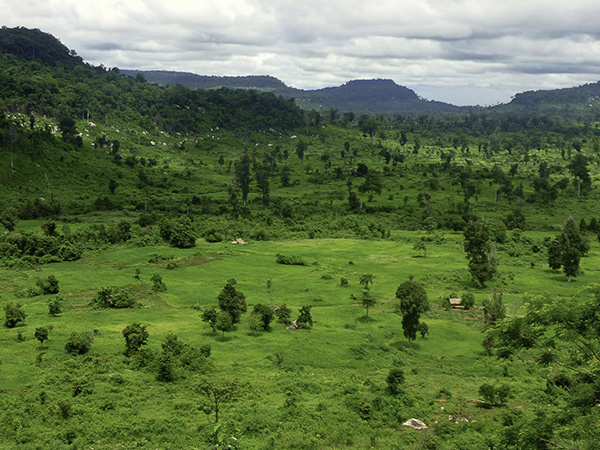 From the road, your guide will point out the Kulen Mountains in the distance, where sandstone was quarried hundreds of years ago. 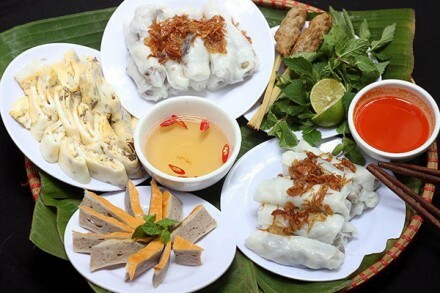 You will then return to Siem Reap where you can rest and then enjoy lunch at a local restaurant. 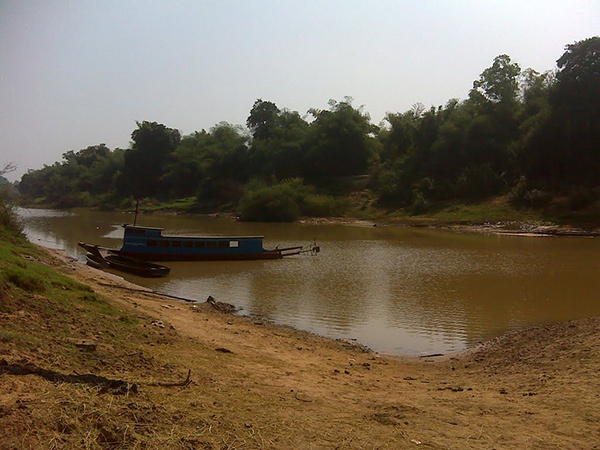 After lunch, you will pay a short visit to the vast West Baray and then drive out to Angkor Wat in the afternoon. The guide will allow 2 to 3 hours for a guided tour of the vast shaded Angkor Wat galleries. You will be given free time to explore the upper levels of the Angkor Wat Temple. 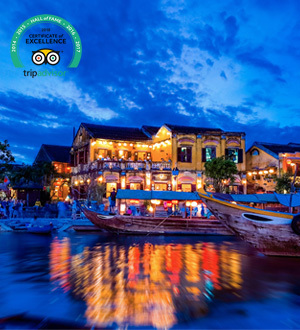 You will return to Siem Reap late in the afternoon and then go out to dinner at a local restaurant. You will depart in the morning and visit one of the Angkor Visitor Centers to learn of the recent reconstruction and preservation projects. 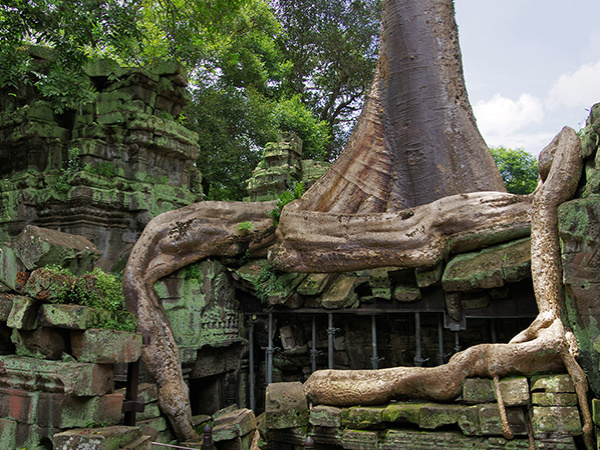 You will then visit one of the Angkor region’s most fascinating ruins, Ta Prohm. This is a ruin that was once totally enshrouded by jungle, and still stands in the shade of tall jungle cover. After Ta Prohm, you will head off to explore Banteay Kdei and the neighbouring lake of Sras Srang (or “King’s Bath”) before returning to Siem Reap for lunch and a short rest. Returning to the Angkor Complex, you will drive out to visit distant Ta Som and NeakPean, before entering the walls of Angkor Thom from the northern gate to visit Bayon and the terraces. A number of other sites will also be visited in Angkor Thom from earlier periods in Angkorian history, such as Baphuon (1060 AD) and Phimeanakas (950 – 1050 AD). You will then return to Siem Reap to freshen up at the hotel before enjoying dinner and a cultural performance. 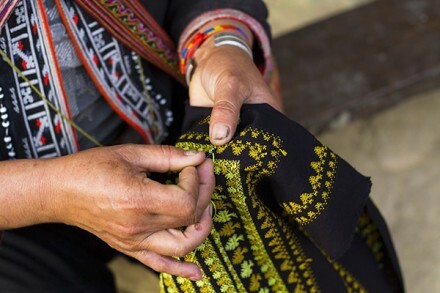 You will have free time to explore Siem Reap and perhaps visit the French training workshop (“Artisan D’Angkor”), the old central market (Psah Chas), arts & craft shops, and cafes. You may choose to rent a bicycle, hire a motorbike or even book a helicopter flight over the ruins! You will later check out and meet with the guide who will transfer you to the airport for a 70 minute flight to Sihanoukville for a three night stay for rest and relaxation. Notes: Cambodia Angkor Air has flights between Siem Reap and sunny SihanoukVille, Cambodia 3 times a week (every Monday, Wednesday and Friday). Sihanoukville (Cambodia’s premier island and beach resort) is located just 30 minutes by speed boat from Song Saa Private Island, and offers you a unique private island experience in the gulf of Thailand. The town of Sihanoukville is surrounded on 3 sides by the Bay of Thailand. From the beaches and surrounding hills, many of the country’s small islands can be seen. Many of the beaches are filled with grass hut restaurants and bars, while some of the beaches are rocky and others are wonderful sandy stretches. There are day trips to beaches, villages and islands from Sihanoukville. 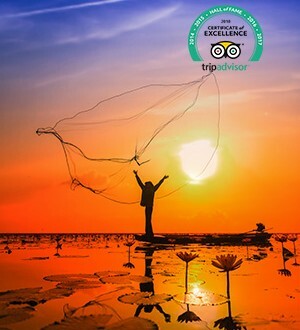 The fishing village at Stung Hauv, Kbal Chay Waterfalls, Ream National Park, can all be visited by making arrangements with your hotel concierge. You can even travel to the coastal towns of Kampot, Kep and Bokor Mountain, which are just 2 hours away by car. You will have breakfast at your hotel and enjoy your day as you wish. Many vacation activities around town are related to the beaches. Swimming, sunning, trips to the islands, fishing, and snorkeling are all popular. Within town, there are many themed restaurants and bars owned by people from all over the world. 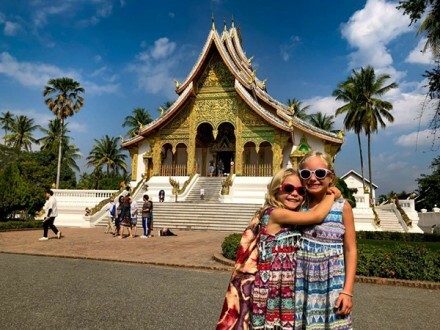 Buddhist temples, mountain biking, dirt biking, walking around downtown, shopping, and seeing Cambodian culture are also popular activities. Not to mention scuba diving! As to night life, many beach restaurants stay open until the last customer leaves. Restaurants with French, Japanese, Italian, Indian and many other cuisines come to life, and some bars and the casinos are open 24 hours a day. You will be free until you are transferred to the Phnom Penh Airport for your departing flight, which will take about 4 hours to reach. Please contact us if you are travelling in this period, because there are some luxury hotels required to have Compulsory Dinner. + Others not mentioned above. Guests staying at Amansara Resort in Siem Reap will have an included daily breakfast and a choice of lunch or dinner, with house wines & house beverages. If, at the time of booking, any hotelsor rooms in the list above are fully booked, we will endeavour to find accommodation of a similar standard elsewhere. If the only available accommodation is of a higher or lower standard, we will revise the price accordingly and consult you immediately.